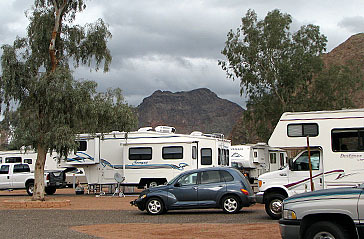 River Island State Park is ideal for tent campers and can provide a scenic respite, a desert escape, or a fun-filled water adventure. It offers 37 campsites, a ramada, sandy beach, cove, and boat launch area. Fee payments are due upon park entry. The park has one restroom/shower building located at NE side of the park. Handicap accessible. 20’ X 20’ shade ramada. Minimum 12 people, maximum 65 people. 15 car and 3 boat-length parking spaces. Reservations available. Located across from Ranger Station at SW side of the park. Handicap accessible. 20’ X 20’ shade ramada. Minimum 12 people, maximum 65 people. 15 car and 3 boat-length parking spaces. One 20-amp outlet, lights, water, fire ring. Located across from Ranger Station at SW side of the park. Reservations available. Handicap accessible. 37 total campsites. Eight beachfront campsites on grass overlooking Colorado River with 20-amp service, water. 24-foot limit. Tents allowed. 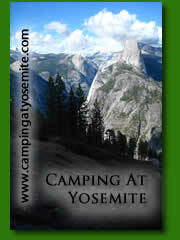 29 RV-deep campsites (up to 65 feet deep) with 50, 30, and 20-amp service, all with water. 10 back-in sites and 19 pull-throughs. Tents allowed. Dump station located at SW side of park across from Ranger Station. No charge to registered campers. Fee required to unregistered vehicles. One shower building with Hot & Cold water. Handicap accessible. Wedge Hill Trail is approximately ½ mile in length, medium difficulty, overlooking Colorado River. Scenic overlooks include Colorado River and Parker Dam. A per person trail-use fee for unregistered park visitors. Trailhead located east of launch ramp. This park has fishing with Largemouth and smallmouth bass, catfish, bluegill, carp and striper being common. This park has swimming. No lifeguard on duty. Swimming is at your own risk. Three lanes located in calm cove. Launch ramp parking has 20 boat-length deep spaces. Cove is a No Wake Zone. HAZARD: Island reef is located in center of cove. Hug cliffs to access Main River Channel. Observe all navigational aides (buoys). Concession store located ½ mile south of park on Highway 95 rents boats. Great birding & waterfowl opportunities; occasional bobcat, bighorn sheep, and coyote.